When I, Eric M. Urbahn, member of the American Institute of Architects, first arrived in the beautiful Dominican Republic in early 1996, I was immediately struck by the feeling that this large, diverse Caribbean country was really going places. Within months of arrival, first, as a tourist and soon as an investor, I realized that great opportunity was waiting for my newly-formed residential development group. 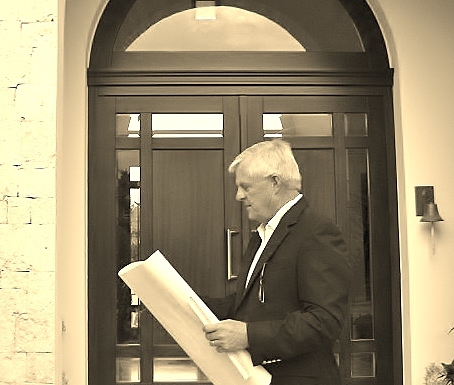 As an architect with, at that time, over 25 years’ experience in the US, Africa, and the middle east, I was very excited about the prospect of designing and overseeing the construction of villas in my own project in Cabrera on the north coast of the Dominican Republic and elsewhere on the island. The group of four investors bought a fabulous oceanfront parcel near the north coast town of Cabrera, and I carefully laid out what I believed would be a successful community of like-minded individuals seeking peace and quiet and the nearness to fantastic beaches. My many years of practice in warmer climates had prepared me for the task, though I undertook an involved study of wind and sun and their effect on materials I hoped to use. I designed and had built the first house in the project which is called Orchid Bay. It was a one story Tuscan-style villa with bedrooms and living spaces facing the reef-enclosed lagoon and ocean beyond. Other houses followed, many designed by me, and we partners began to realize what a treasure we had discovered. We purchased more oceanfront land next to our growing community. The Robert Trent Jones-designed Playa Grande championship golf course opened nearby. Many fabulous lots stood open, ready for clients and their dream villas. For me, it was like being a painter with a beautiful, but mostly empty, canvas. When the real estate company Select Caribbean Properties entered the picture, it was as though our fledgling project, known as Orchid Bay, shifted gears. With Sabine Mertes as the principal of the company and her extensive knowledge of marketing, she began matching our lots and villas to customers from all over North America and Europe. She seemed to sense exactly who would love our community, and almost all the clients she introduced were impressed. Many bought lots or existing villas. Sabine possesses an uncanny ability to match clients with their needs and budget. I have recommended her to many friends over the more than 12 years since she first came on a familiarization visit to our new beachside community. Meanwhile, in the nearly 20 years that I have practiced here, I have worked with many professionals and craftsmen. From a large pool of human and material resources, I have put together a team that I have great confidence in. Working closely with Sabine Mertes of Select Caribbean Properties, a master list of providers has evolved, many from her own experience here. We will find you your dream property, then design, build, landscape and decorate your custom villa using all that we have found in our island paradise. Eric M. Urbahn, a member of the American Institute of Architects. Master of the Ocean is a world-class surfing event which is held every year in Cabarete on the Dominican Republic’s beautiful north shore. Launched 13 years ago, the Master of the Ocean competition, a world-class water-sport event, will be held from February 23rd to February 28th, 2015, in Cabarete on the Dominican Republic’s beautiful north shore. The competition tests participants in four disciplines: surfing, windsurfing, kite-boarding and stand-up paddleboarding (SUP). Competitors, who must demonstrate proficiency in all four categories of the event, are judged on style, athleticism, and overall excellence. Current men’s and women’s title-holders Zane Schweitzer (Hawaii) and Fiona Wylde (Oregon) will have stiff competition from past champions and aspiring champions alike. 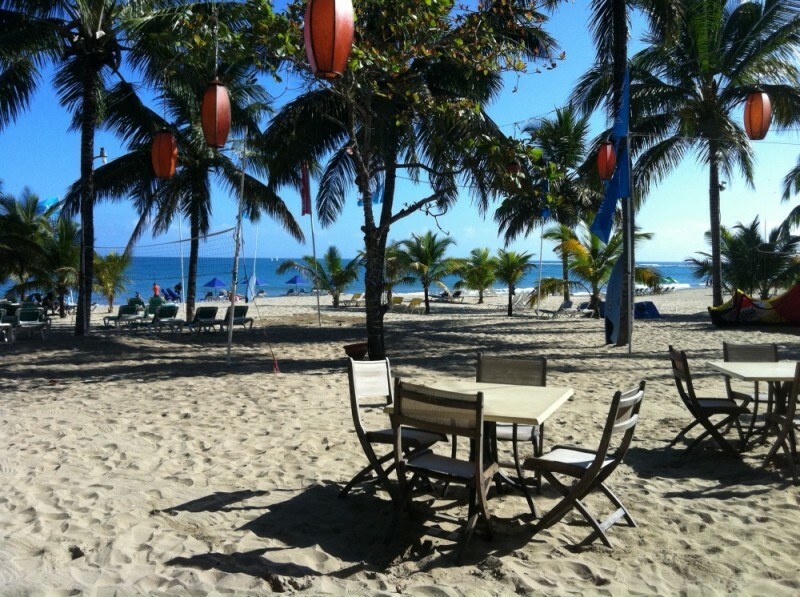 Viewing of the events possible at the three chosen venues: Cabarete Beach, Bozo Beach and Playa Encuentro. Learn more about the Master of the Ocean competition. Travel Dominican Republic and discover this amazing island. This is a very good article and a wonderful way to discover the Dominican Republic. Enjoy this wonderful island, the beaches, the food, the people, the great natural resources like waterfalls, like and rivers. Book a different vacation the next time when you are visiting the Dominican Republic. Come to the north coast where you find small Boutique Hotels, wonderful Bed & Breakfast, and Eco Adventure lodges. The Puerto Plata Historic Center is under reconstruction and is nearly finished. These are really good news. The plan is to reconstruct the Historic Center of Puerto Plata, north coast of the Dominican Republic which will change the look of the city enormously. A popular choice amongst newly married couples and families is a week or two at an all-inclusive resort in any of a dozen locations country-wide. 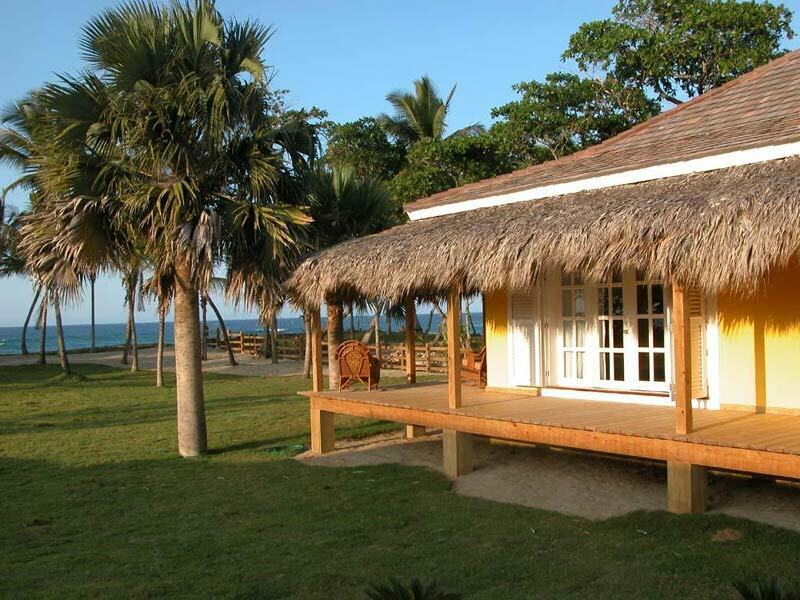 These range from economical and comfortable to ultra high-end luxury resorts with a known track record of excellence. Many of these resorts offer a long list of sporting and cultural activities as well as fine dining opportunities. A couple wishing privacy and not requiring too varied an activities list might consider one of the smaller hotels in places like Cabarete, Sosua, Rio San Juan, El Breton, Cabrera, Las Terrenas or Las Galeras. Here, the guest is happily at peace in a more intimate surrounding while having access to a charming smaller resort community. 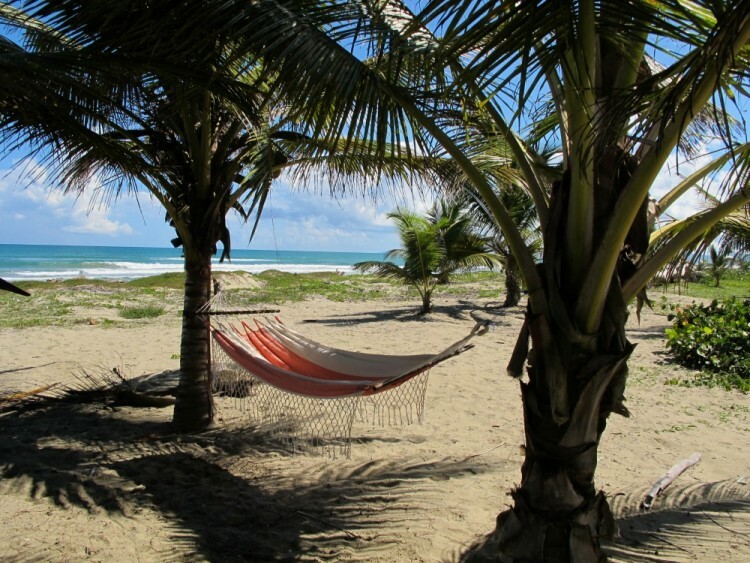 In Cabarete, one may wander the beach and choose from a wide range of restaurants and night spots and then return to their lodging on foot in the moonlight. Perhaps a glass of champagne will then be enjoyed, seated in a chaise lounge beneath the palms. For those requiring a more structured experience, the larger all-inclusive hotels in Playa Dorada offer a rich and varied experience to their guests. Most feature numerous restaurants with interesting ethnic cuisine and decor. Activities of every imaginable type are available to guests at the larger all-inclusive resorts, from sailing and windsurfing to horseback rides in the mountains to pig roasts on the beach. Golf, tennis, hiking, white-water rafting, canyoning and zip-lining…all may be enjoyed with just a phone call to the concierge. And for those wishing the pure peace of their own luxury villa, a wonderful choice of lovely beachfront villa, mountain villas and beachfront condos await not only the honeymooner’s pleasure. In a fully-staffed luxury villa, the guests will be pampered as never before in their lives. One might indulge in a massage on a tiny lawn overlooking the breaking reef, or choose an hour’s swimming in a private cove unseen reached by a coral stone pathway. Meals are served at the pleasure of the guest and can range from simple fare to sumptuous presentations including native lobster and fish. And in the background, there to answer every whim, a staff of men and women whose goal is your pleasure. The offerings are many and varied. Prices range from economical to expensive, but in all levels, the potential guest will find great value in the Dominican Republic when compared to other Caribbean countries. It is easy to get here. It is lovely to stay here. You will leave with some sadness but will take with you the memory of a lifetime – your beautiful Dominican Republic Honeymoon!